Our program trains future physician scientists who, by combining the practice of medicine in the clinic with biomedical research in the laboratory, are uniquely trained to bring the power of modern science to our understanding and treatment of human disease. 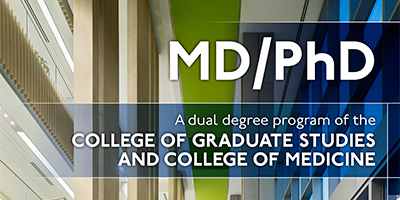 We recruit applicants from diverse educational and cultural backgrounds who, having a passion for research in the biomedical sciences and clinical care, are dedicated to becoming academic physicians. Last Modified: April 03, 2019. Contact Sam Castleberry with questions about the content of this page.